Around the world, Pride takes the shape of parades, events, performances, and exhibitions, commemorating and recognizing the ongoing gay rights movement, and celebrating the diversity within the LGBT community. 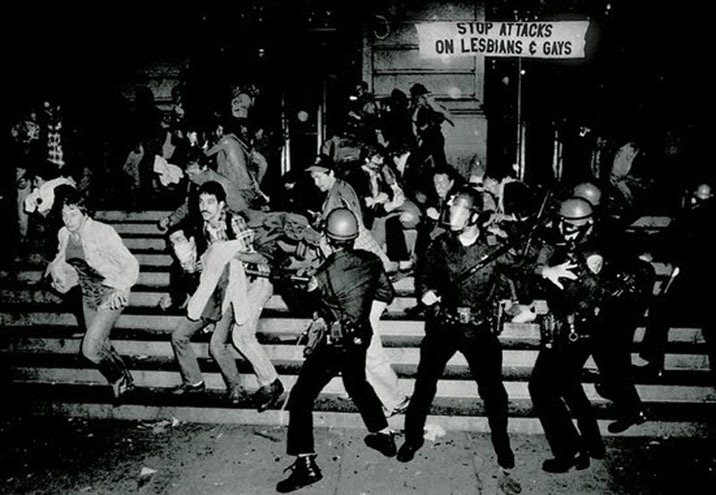 The reason the last weekend in June was selected for this annual demonstration of community pride, was that it corresponds with the anniversary of the Stonewall riots; the violent confrontation that occurred on June 28, 1969, between New York City police officers and the patrons of NYC’s Stonewall Inn bar. This set off a series of protests and riots, and the event is regarded (even if only symbolically) as the moment when the modern Gay Rights movement began. SFist provides a further Gay Pride history lesson, outlining numerous pre-Stonewall moments in the Gay Rights fight here. The first Gay Pride parade in America was held in Los Angeles on June 28, 1970; the first anniversary of the Stonewall riots.